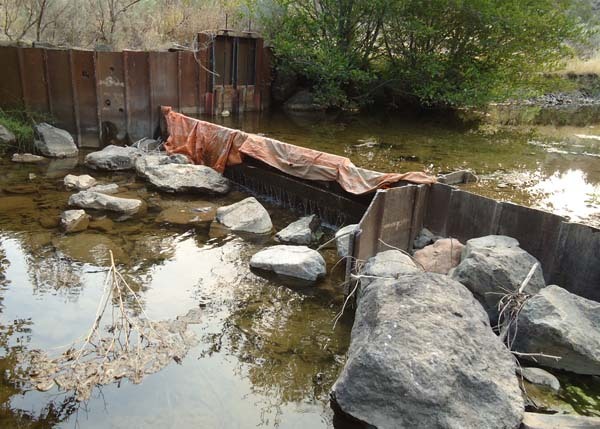 In response, Waterways conducted a comprehensive evaluation of geomorphic conditions within the lower Cottonwood Creek and prepared an assessment report that identified potential actions to improve fish passage for nine of the PODs and developed engineering drawings for the three barriers. 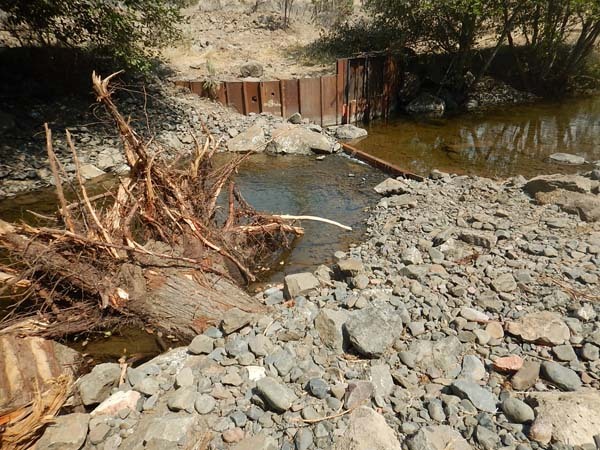 The goals of the proposed modifications were to create a stable section of channel at the POD that provided fish passage while requiring minimal maintenance from irrigators. The design for each of the three fish passage barriers consisted of building roughened channels downstream of the existing diversion infrastructure (sheet pile grade control structures) to create backwatered pools, add log jams at two of the three PODs for habitat complexity, and structural modification of the sheet pile structures to constrict low flows. A total of four POD sites were constructed during the summers of 2014 and 2015.